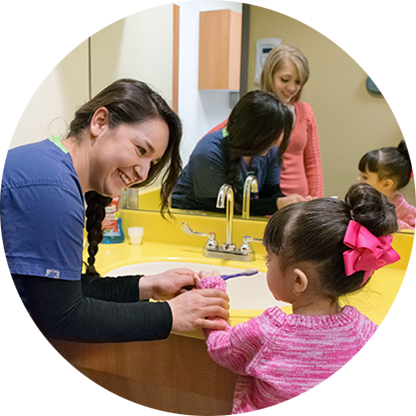 At Just For Grins Pediatric Dentistry, we’re proud to differentiate ourselves from other offices. We know that our evidence-based, peer-reviewed philosophy of health care is the gold standard of health care and directs the future of health care. You can count on us for robust and progressive patient care services. Often, parents experience meeting the indifference of standardized care seen in many health care practices. At Just For Grins Pediatric Dentistry, this simply won’t happen. Our customized and empathetic approach aims to keep you and your family comfortable, calm, and happy throughout our relationship. Silver Diamine Fluoride: Silver diamine fluoride (SDF) is an FDA-approved procedure for use as both dental desensitizer and arrest of caries (cavities). As an antimicrobial and remineralization agent, SDF is a valuable part of a cavities management plan. SDF therapy does not require local anesthetic or ‘drilling.” It’s quick to apply and is cost-effective! 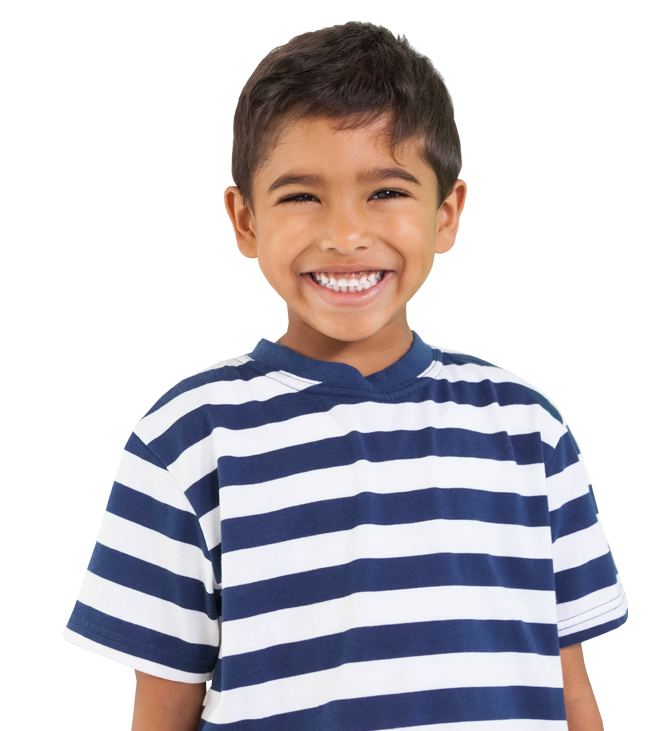 Contact us to see if your child is a candidate for SDF. Peace of mind is paramount in parenting. Our doctors return parent’s calls on the same day. For the stressful after-hours emergencies, parents can contact our office, leave a message, and receive an immediate return call – with no waiting until the next day. 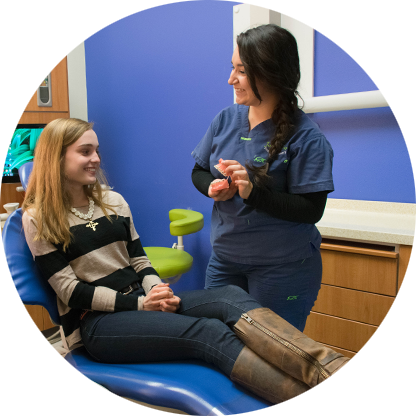 We use a friendly digital patient communication system to help you manage your appointments. 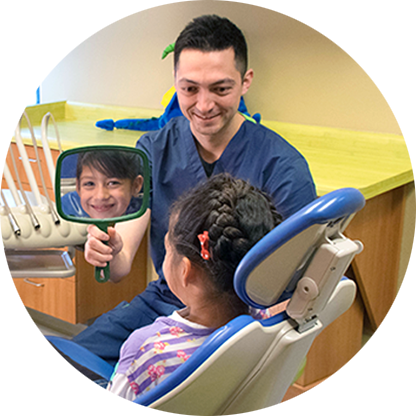 Using this easy method, Just for Grins Pediatric Dentistry can convey reminders about scheduled appointments or you may ask a question with a tap or two on your phone or computer.